The Conservatives will propose potential candidates to president. Whom would you choose? At the end of October the Homeland Union – Lithuanian Christian Democrats (TS-LKD) will organise internal elections where not only their party members will be able to elect the party's candidate for the presidential race, but members of the public as well. Party chairman Gabrielius Landsbergis says that four names are being discussed right now: Žygimantas Pavilionis, Vygaudas Ušackas, Ingrida Šimonytė and Gitanas Nausėda. Political scientists predict that in such a case the main competition would be between G. Nausėda and I. Šimonytė, LRT.lt writes. The Conservative party has spoken for a number of years of an election where they would choose their presidential candidate after consulting the public. At the end of the year this is to come to fruition. "In the March 24 party council meeting the regulations and specific date will be confirmed. Preliminarily the elections are to be held in late October," TS-LKD leader G. Landsbergis told LRT.lt. The party chairman stated that the Conservatives have earlier held elections where party members had the right to vote in electing various candidates and the party chairman. "These primaries to select the presidential candidate will be expanded in that we will invite individuals outside the party to vote – those who wish to vote on the TS-LKD candidate. There will be an internet address where those interested will be able to register, leaving certain key data to be able to come on election day and express their will in the elections together with party members," G. Landsbergis continued. The politician stated that such primaries exist in the USA, France and the UK. "We are treading this path for the first time. There are concerns and worries, but we see an opportunity to open up. We will stand by this direction. We wish for people to take part of the responsibility. It is not a decision of the party or party members, but that of all of Lithuania," the TS-LKD chairman stated. He stressed that it will be the candidate selected in the primaries who will participate in the 2019 presidential elections. "Our charter will prevent anything else being changed," the politician added. Upon LRT.lt inquiring whether the party is not concerned that other parties may interfere with the primaries, the TS-LKD leader said, "You see there can't really be a "wrong" candidate. I do not know which would be more acceptable for our competitors. I believe that there may be some sort of political actions, but our main principle is to involve as many people as possible in the democratic process," G. Landsbergis explained. He stated that so far there are talks of four names, which could be presented to party members and the public to choose from. "What candidates? Probably the same four: Ž. Pavilionis, V. Ušackas, I. Šimonytė and G. Nausėda. So far, there are no more realistic candidates to be seen. The party members can propose others too. I believe that the branches will propose candidates. The regulations have not been confirmed yet, but that's what I will offer. In such a case we will uncover the overall moods in the branches," G. Landsbergis spoke. The Conservatives have around 16 thousand registered members, though typically fewer participate in elections. The TS-LKD chairman did not reveal whether discussions have been held with all the mentioned candidates regarding their participation in the preliminaries. "I maintain contact with most of the individuals who are mentioned as candidates. So far none have officially stated they will participate," G. Landsbergis added. One of the LRT.lt's sources in the Conservative party stated that these four names would likely be the ones participating in the preliminaries. "It is only unclear whether I. Šimonytė wishes to participate and whether she will. Ž. Pavilionis and V. Ušackas are already campaigning, inside the party as well. There were certainly talks regarding G. Nausėda at the management level, but so far – nothing official," the politician stated. 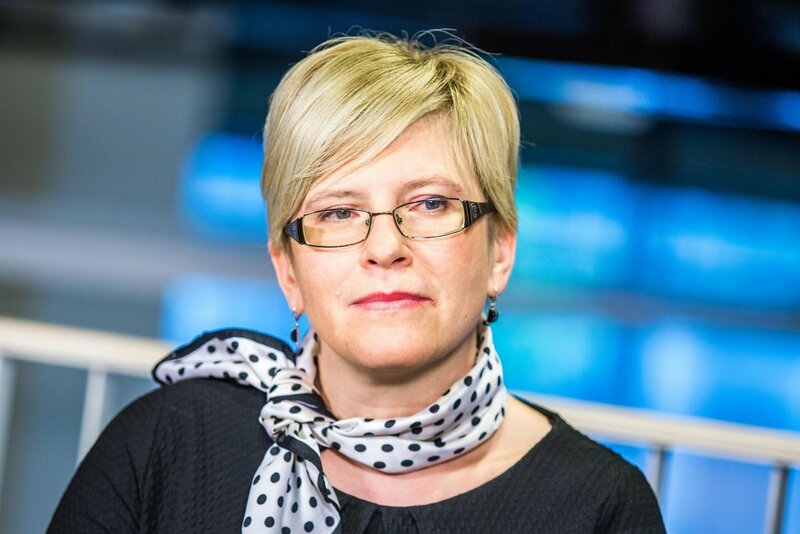 To recap, Ž. Pavilionis and V. Ušackas are members of the party, I. Šimonytė is a member of the TS-LKD Seimas group, but not the party, while G. Nausėda is an economist, who does not belong to any party. Race between I. Šimonytė and G. Nausėda? Vilnius University Institute of International Relations and Political Science (VU TSPMI) professor, political scientist Tomas Janeliūnas says that such Conservative preliminaries are "a decent playing field, training prior to the real elections for the candidates already campaigning inside the party." "The Conservatives have been developing the idea of these elections for a while now in electing their party leader. In this case the presidential candidate is also a sort of party representative at the highest level, so why not? The candidates will have numerous opportunities to draw media attention, they become appealing objects, which are constantly followed, they are supported and such. In this regard the procedure grants advantages," T. Janeliūnas explained. Of the four mentioned names, the political scientist highlights I. Šimonytė and G. Nausėda. "First of all, it is a question whether all four mentioned candidates will agree to participate in the primaries. The greatest question is regarding I. Šimonytė because she has so far not displayed any desire to participate in the presidential elections. If she does not participate, most likely G. Nausėda will be the leader. His current ratings are among the highest, he would be the favourite. If I. Šimonytė does choose to run for president, I believe she could be a serious challenger to G. Nausėda and could perhaps even surpass him. After all she is a member of the party's group, who has identified with the Conservatives for a time and would have a big advantage at least within the party," T. Janeliūnas told LRT.lt. The political scientist observes that G. Nausėda is currently not showing any signs, which could repel the Conservatives. "Of course there could be some Conservatives who will want a more determined, more assertive candidate. Such voters would perhaps choose Ž. Pavilionis, but the more moderate and more pragmatic voters would likely back G. Nausėda," the TSPMI professor believes. Meanwhile public relations expert Arijus Katauskas states that for a certain part of conservative voters, G. Nausėda could be a non-partisan candidate. "It may be difficult for the party to back such a candidate because it would be yet another election where the TS-LKD does not have its own candidate. On the other hand, if we look at the potential candidates we see confusion. An example of this could be Ž. Pavilionis' letter regarding G. Nausėda. So far, I hesitate to say who could win those primaries because much will depend on the campaigns led by the candidates. I can say that I. Šimonytė could become a "consensus" candidate though she has both supporters and detractors in the party. For example, opponents may say that this is a candidate who decreased pensions during the crisis. Nevertheless, I believe that the progressive Conservative Party flank would seriously consider the candidacies of I. Šimonytė and G. Nausėda, while those more inclined to conservatism would choose other candidacies. Overall G. Nausėda and I. Šimonytė would be an excellent tandem, with one becoming president and the other – prime minister, however such a scenario is hard to imagine," A. Katauskas spoke. 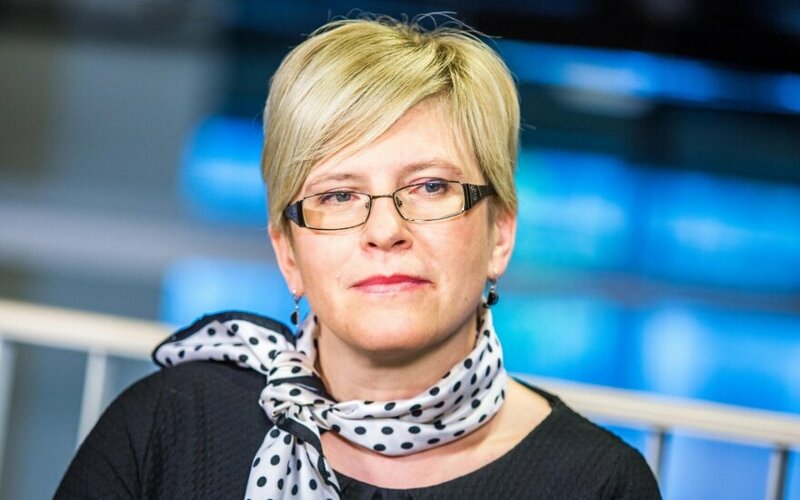 TSPMI political scientist M. Jastramskis spoke similarly on the LRT Television show LRT Forumas, stating, "I see a major advantage for I. Šimonytė in that she could mobilise the TS-LKD electorate. Imagining the ideal situation where all TS-LKD sympathisers identifying with the party vote for her and voter turnout isn't high, she could enter the second round of the presidential elections." M. Jastramskis is convinced that the Conservatives cannot back just any candidate; it has to be a truly strong candidate. "The TS-LKD has to back a strong candidate who would be partially identified with the party, but would also manage to access the electorates of other parties, such as those who would vote for the Liberals of "Farmers"," the political scientist stated. According to public relations expert A. Katauskas, the fact that G. Nausėda is very popular in surveys does not mean that he would also receive numerous votes in the presidential elections. "I believe that his position as an expert guarantees him visibility, however it is a question how that attention will decline when campaigning will begin. Currently G. Nausėda is one of the most prominent economics experts, but if he chose to run for president, the attention to him as an expert would decline," A. Katauskas believes. He stated he is seriously considering G. Nausėda's chances, however I. Šimonytė is no less a strong politician, stating, "If G. Nausėda "overcomes" I. Šimonytė, I would be on him, but I. Šimonytė is also a very interesting player in this puzzle." The presidential elections will be held in Lithuania in May 2019.